Firefighters in B.C. 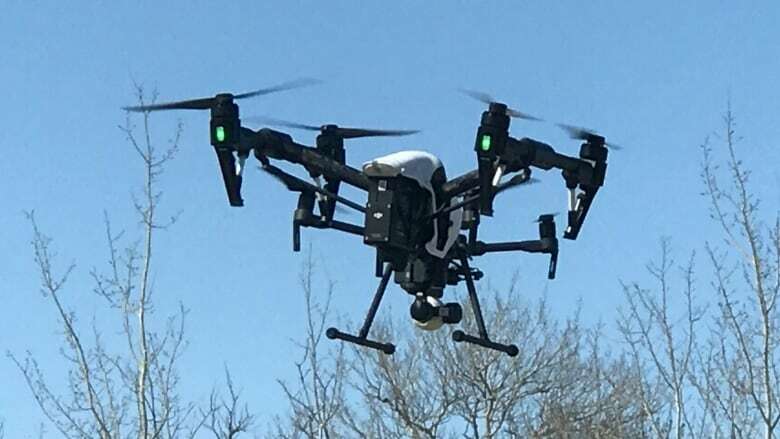 are warning drone operators to keep their equipment out of the air when crews are battling a wildfire, after an unauthorized drone forced the grounding of a support helicopter. The drone was spotted near the Wilson Creek wildfire, east of Nakusp, on Sunday, according to the B.C. Wildfire Service. That meant a helicopter that was supporting firefighters had to to be grounded, and other aircraft fighting fires in the region had to be diverted from their flightpaths to avoid the area. It is illegal to operate a drone below an altitude of 914 metres within a radius of about nine kilometres from a fire. Firefighters say they have no choice but to shut down aerial attacks on fires when a drone is in the area because of the risk of a potentially deadly collision. Under federal law, anyone caught flying a drone within range of an active wildfire faces a potential fine of $25,000 and up to 18 months in jail. B.C. 's Wildfire Act also prohibits drone use and operators can be ticketed $1,150 and, if convicted, face up to $100,000 in fines and more than a year in jail.